Just in Time for St. Patrick’s Day: Enter our "One Lucky Pet" Contest! Did you rescue your pet? We’re getting in the St. Patrick’s Day spirit with Pet360 by celebrating the ‘luck’ that brings pets and their families together with our “One Lucky Pet” Contest! 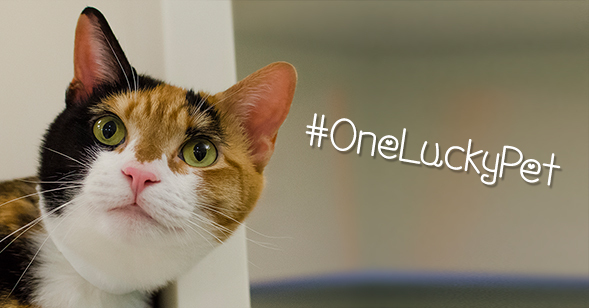 You can enter by sharing your story of how you and your pet are lucky to have found each other, and by posting a photo of your pet on your social media networks using the hashtag #OneLuckyPet. We’ll choose one lucky dog and cat to receive a tote full of goodies, including toys and other prizes courtesy of Pet360! Entries will be accepted through March 31, so enter today!